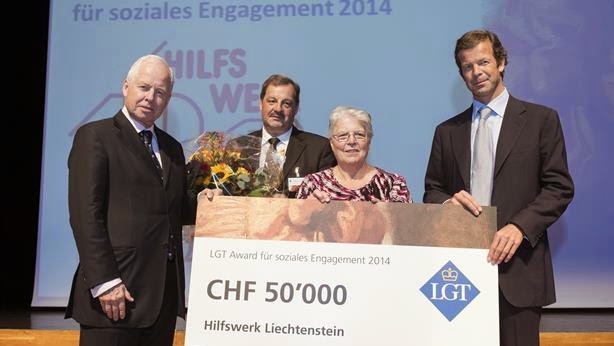 Last night, Prince Philipp and Prince Max awarded the aid organisation Hilfswerk Liechtenstein with the very first LGT Prize for Social Commitment. Even though it was only officially founded in 1987, the roots of the Hilfswerk lie in 1985 when Liechtensteiners donated food and clothes to be brought to Poland. Since its official establishment, the organisation has made aid deliveries to the former Yugoslavia, Albania, Romania, Moldova, the Ukraine and other countries. It also supports families and children in need in Liechtenstein and Switzerland, the number of which is increasing in recent years.The award inludes a prize money of 50,000 Swiss francs. Grand Duke Celebrates (Not Only) His "Heemecht"